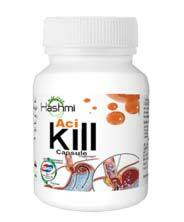 Acikill Capsules are the best natural and herbal treatment to fight against acidity. It’s a product made from allium sativum, ferla foetida, purified hyoscyamus niger, glycyrrhiza glabra, zingiber officinate, pipar nigram, sodium bicarbonate, cuminum cyminum, menthe arvensis. These all are natural herbs used to create acikill capsules. This property made acikill herbal capsule side effect free. There is no chemical added for the formation of this capsule. This capsule will provide instant help in acidity and other stomach related problems. You will soon experience good digestion of food in few days after the regular consumption of this capsule. It will improve your digestive system. The technique behind the formation of this capsule is the knowledge of Ayurveda. It will provide instant relief from stomachache, gas problems and indigestion. It helps in the digestion process and exerts carminative, anti-flatulent and antacid actions. It’s a digestive stimulant that provides the ability to digest any kind of food by enhancing bile secretion and enzyme stimulating actions. Instant relief in stomach pain. It provides relief to small and large intestine both. It improves digestion and helps in getting rid of acidity and tympanites. It also helps in gas problems. Heartburn :- A sudden feeling of burning in heart or chest is known as heartburn. It’s a common symptom of acidity. Occurrence of blood in vomiting. Consumption of meal more than capacity :- Each and every person have the capacity to eat food. If you will consume more food than the requirement then it is a cause that gives rise to acidity. Improper diet and routine :- People who fail to take proper diet daily and have no proper daily schedule also suffer from acidity. Overweight :- People who are overweight are most commonly found suffering from acidity and stomach related disease. Lying down after eating a meal :- People who sleep or lie down immediately after the consumption of feel also suffer from acidity. It may affect the traveling of food in the intestine. It will cause acidity and also affect the digestive system. Consumption of citrus fruit :- People who consume more acidic food often suffered from acidity. These fruits have natural acid and increase the level of acid in the body. Too much consumption of coffee and tea :- In a study it is found that people who consume too much coffee and tea every day often complain about acidity. 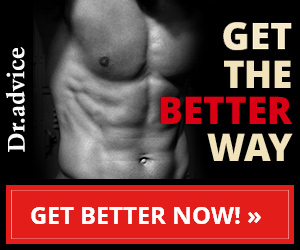 It affects enzymes that are responsible for proper digestion and give rise to acidity. Smoking :- Smoking is also a cause that is responsible for the acidity. While smoking, we intake tobacco that badly affects our lungs and results in improper digestion. Our oxygen consumption will get affected by it. It contains other harmful chemicals that affect bile secretion and enzyme action in our body. Pregnancy :- Pregnant women often suffer by acidity. During pregnancy physical work from their daily routine reduced and due to this it leads to acidity.